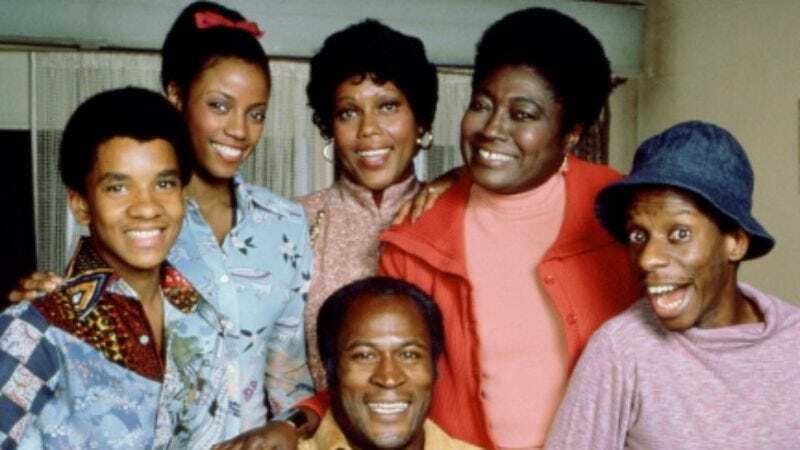 Get Involved, Internet: Sure, why not a Good Times movie? Given that Kickstarter has been used for pretty much everything at this point, from potato salad to revivals of beloved-but-canceled shows like Mystery Science Theater 3000 and Veronica Mars, it’s become increasingly hard to begrudge any creators for trying to use the service to revive a long-dead project. Case in point: Why shouldn’t there be a Good Times movie (and not the one Sony once talked about, which is probably never going to happen), complete with the five surviving leads? Someone out there presumably still likes and cares about the Norman Lear-produced show—even if the Kickstarter’s current status, with less than 5 percent of the asked-for million dollars raised and only 15 days remaining, doesn’t necessarily show it. The promo video for the campaign gives fans pretty much everything they might want: former star John Amos takes the lead, the disagreements that lead to him leaving the series almost 40 years ago apparently having been long-since-smoothed over. Bern Nadette Stanis, Ralph Carter, and Ja’net Dubois are all in hand for a little familial banter. And, of course, Jimmy Walker eventually takes center stage, to declare the proceedings “DYN-O-MITE.” And if the reward structure is a little bare bones—the standard T-shirt, digital download, and signed poster sort of thing—and the video poorly edited—including a seemingly prophetic moment in which Amos is interrupted for another repetition of Walker’s famous catchphrase—well, hell: what else were you going to spend your money on?